Well, now we know his secret to success! 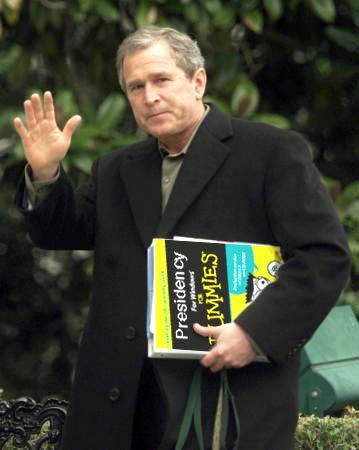 Personally, I dont' think he's even finished chapter one yet. 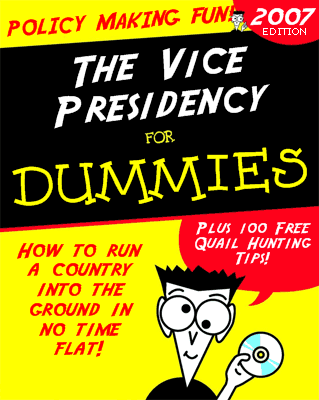 Presidency for Dummies... my, how appropriate. And Cheney, don't worry that you'll be left out at all... I just finished writing YOUR special guide as well!